What are the Components of Your Grad School Application? Schools typically make their graduate applications available in the late summer and early fall. Although many give you the option of printing off a paper application and mailing it in, most prefer or require that you submit your applications electronically over the internet, and many have specific programs they like you to use (which will be available through the school’s website). Work on your applications after you have made your school selections. Given that schools will ask for close to the same information year after year, you can start working on the components of your app even if the current year’s applications are not yet available. The application: This is the basic application form; it is completed by you. It asks all the typical application questions: Biographical, academic, extracurricular, and conduct information. The application essay: This is required by almost all grad schools. 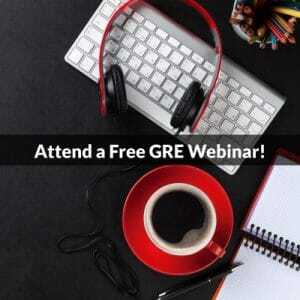 The topic will vary from school to school, but it usually deals with why you want to attend grad school, why you are focused on a particular program, and/or why you feel that a particular school/program will be a good fit for you. Sometimes, schools have specific topics outside of these they’d like you to address, and will list those in the application instructions. If a school wants to hear about a particular topic, make sure your essay addresses it. The letter(s) of recommendation: Most schools ask for multiple letters, although some may just want one (or none), and some may give you the option to submit as many as you want. You will request these from your professors or employers. These recommenders, after writing the letters, typically send them directly to the schools via paper mail, or upload them directly to the school’s application website. Usually, you cannot upload these on your own; make sure to carefully read the application instructions so that you know the protocol these letters must follow. Transcript(s): You request these from all undergraduate and graduate institutions you have attended. The institution submits them directly to the grad school(s) to which you are applying. Although some schools will accept unofficial transcripts (for example, a transcript that you can print out yourself from your college or university’s website), most will also require that an official transcript be submitted before an official review of your application or offer of admission can occur. Résumé/CV: You write it and either upload it to the online application or mail it in with the rest of your application materials. Additional optional essay(s) and addenda (if applicable): These are essays a school requests in addition to the application essay, or explanations needed due to problems in your past (usually academic or professional). You write these based on the requirements of each school, and submit them with the rest of your application. Additional materials: Many schools request that you submit theses, research papers, articles or books you have had published, etc. These materials are typically mailed in to each school, and become part of your application once they are received by the school. Knowing what will be required in your application is the first step to making sure you’re prepared and organized during the application process. Take some time to figure out what you’ll need and what you’ll have to do, and it will make it that much easier to keep on track with your academic plans! Have you already started working on your applications? When do you plan to start working on them? Tell us in the comments! Have a question about applying to grad school you’d like us to answer? Send us an email! 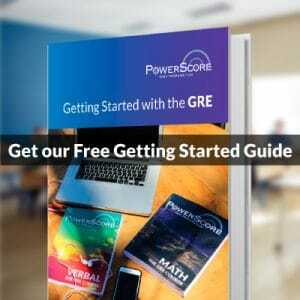 Connect with PowerScore on Facebook and Twitter, and find more PowerScore Admissions advice on our Facebook page.